David Beck has a long-nurtured passion in wine. A scientist in a past life, when it came time to consider a next career, David chose farming wine grapes in Oregon, whose spectacular wines he admired. David and his wife, Jeanne, operate the Crawford Beck Vineyard in Amity, Oregon. The vineyard is on a 48-acre farm and 16 acres are currently planted with vines producing ultra-premium Pinot noir, Pinot gris and Chardonnay. Strong advocates of sustainable farming, the Becks have obtained LIVE and Salmon-Safe certifications for their vineyard. 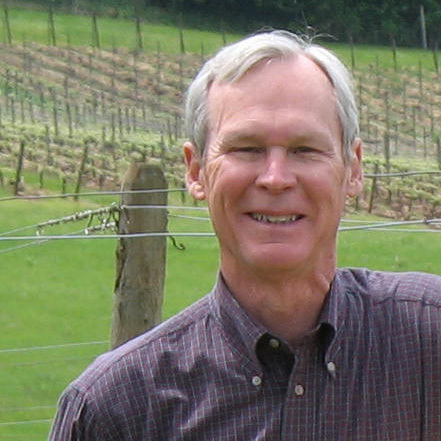 David is also a strong advocate of advancing Oregon’s wine grape industry, and he has been active on the Oregon Wine Board, the OWB’s Research Committee, the Oregon Wine Standing Committee on Research, in his AVA, and in other wine-related organizations. He is particularly interested in research that enhances the efficiency of viticultural practices and improves the quality of Oregon wines.